It has been one generation since the Tiger General's Rebellion, when a well-known general rebelled against what he believed to be a corrupt state and attempted to overthrow the Zhang Dynasty. Though he was well-supported during his battle to claim the throne, he lost crucial supporters in the Forbidden Palace and was eventually defeated by the emperor's loyal generals. The emperor, who had been the victim of a deadly poison during an attempted coup d'état at the Forbidden Palace, died ten years after the end of the rebellion and passed the title of the Son of Heaven to his eighth son, who would become known as Emperor Xuanzong. 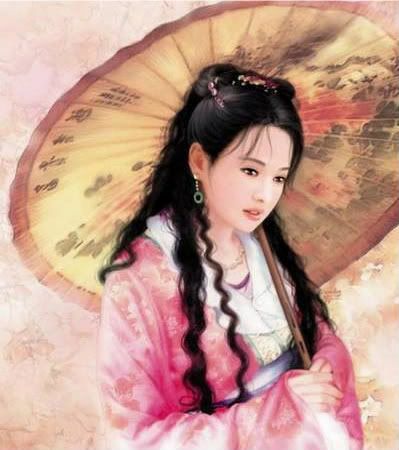 His wife, Empress Wang, made an intelligent companion who aided him in his political decisions and policies. The country flourished and prospered, healing from the political, environmental, and financial damage originating from the Tiger General's Rebellion. Unfortunately, the empress lost favor because she could not give the emperor a son. He became enamored of one of his concubines, who was both beautiful and clever. Originally of lowly birth, her newfound status as the emperor's favorite gave her the power to elevate her family's status, as well as bring her brother to the imperial court. Consort Yang's brother eventually became the chancellor at his sister's insistence; the emperor, who could refuse Consort Yang nothing, granted her everything from natural warm-spring pools for bathing, to political positions for her family. However, Chancellor Yang was corrupt and jealous of anyone who could challenge his power. This included the powerful and charismatic military commander, General Lu. Chancellor Yang incited a rebellion by having friends and family of General Lu assassinated. Again, China falls into chaos. Many people in the Imperial Court blame Consort Yang, who they accuse of bewitching the emperor and bringing ruin to the Middle Kingdom. Emperor Xuanzong, the Son of Heaven [NPC] - The Chinese emperor; he has been caught in the middle of the conflict between Chancellor Yang, the brother of his favorite concubine, and General Lu, a powerful military commander. In desperation, he suggests that he and the Imperial Court flee to Jiannan [Southern Sword City]. 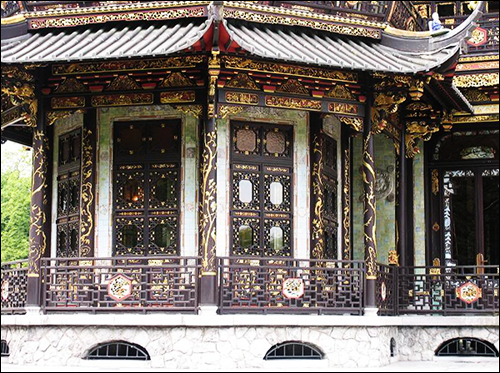 They are to leave the Forbidden Palace in seven days. Consort Yang [NPC] - The current favorite of the emperor. She is as beautiful as she is clever, and has in recent years schemed to increase the power and prestige of her own family. There are hushed whispers and rumors that she is to blame for the current state of affairs in the kingdom. Chancellor Yang [NPC] - The brother of Consort Yang. He gained the position of chancellor through his sister's connections to the emperor. He is a corrupt political official who is also keenly aware of those who may threaten his position. He antagonized General Lu into rebellion by ordering the assassinations of the military commander's friends and family. Fearing judgment, he now plots to have the emperor and his children assassinated so that he can absolve himself of his crimes and turn his attentions to his opponent, General Lu. General Lu [NPC] - A powerful and charismatic military commander who commands armies in three regions. He has steadily gained momentum in his rebellion, in which he calls for the removal of Chancellor Yang from office and a trial examining his crimes against the country. He, along with many others, blame Consort Yang for the current state of affairs. *Charismatic Adviser - This member of the Imperial Court is thought highly of. Under certain situations, his/her vote weighs more heavily than everyone else's. Special: This is a special ability that activates only in tie-breaker situations in the day phase. It does not affect the player's other special abilities, if any. Note: If the Charismatic Adviser is lynched or killed by the Loyalists, the next Charismatic Adviser will be chosen by popular vote in the next Day Phase, before the lynch vote. Yang Loyalists (3) - During their time in the Imperial Court, both Chancellor Yang and Consort Yang have managed to win over officials of the Imperial Court through bribery, or through seduction. While most of their loyal followers have been captured by the Imperial Guard for treason against the Emperor, a small number remain who intend to elevate the Yang family to the highest echelons of political power. Special: Once per turn (night), the Yang loyalists can eliminate one member of the Imperial Court. Goal: Kill all the key officials within the Court, including the Emperor and his most intelligent advisers. One of the Yang Loyalists must survive in order for them to win the game. Minister of the Treasury (1) - The most respected and trusted member of the imperial bureaucracy is also the most feared, for it is this minister who may have the greatest amount of power in the Imperial Court. Fortunately for the Loyalists, the Minister is susceptible to the lure of gold... but in return, will have a promise of survival after he is bribed. Special: This player will arrange a misunderstanding that will cause the Minister of the Royal Archives to receive incorrect information about his target - that is, a Loyalist will appear to be innocent (Imperial Court), while a member of the imperial court will appear to be a Loyalist. Special: Unlike the Minister of the Royal Archives, he can only do this once per game, as rumors of his corruption could lead to his disgrace and beheading. Special: The Minister of the Treasury's survival/death does not affect the Loyalists, and he is not privy to the identities of the Loyalists or their discussions. The Loyalists do not know who the Minister of the Treasury is. Goal: This is a self-interested player interested only in his or her own survival. This player is immune to elimination by the Loyalists during the night phase after using the special ability, but is not immune to lynching during the day phase. Imperial Court (5) - The officials of the Imperial Court firmly believe that Chancellor Yang and his sister, Consort Yang, are to blame for the current rebellion. For the good of the country, they seek to root out the Court of Yang loyalists in order to convince the emperor to remove the siblings from power and return peace to the kingdom. Special: Once per turn (day), the remaining members of the Court (including the Yang Loyalists) can choose to lynch a suspected Yang loyalist from among themselves with a majority vote. Goal: Root out the Yang loyalists, and in doing so eliminate Chancellor and Consort Yang's support within the Imperial Court. The Vermilion General (1) - One of the Four Great Generals, he is named after the southern Chinese constellation. His loyalty cannot be questioned: he leads the Imperial Guards, and swore his loyalty to Emperor Xuanzong long ago. Special: The General can protect one other player from the Yang Loyalists once each night. He can choose to protect himself. He cannot protect anyone from the lynch vote. Special: If the General chooses to protect a member of the imperial court and he is targeted by the Yang loyalists during the night phase, s/he will die, but will grievously injure the Loyalists. As a result, the Loyalists will lose the ability to eliminate someone during the next night phase. Special: If the General chooses to protect him- or herself, and is targeted by the Loyalists during the Night Phase, the attack will be foiled and the General survives. The Loyalists will not lose a turn. Minister of the Royal Archives (1) - The head of the royal archives is a low-paying but respectable position within the Court. He is relatively poor compared to the rest of the Court, but he is proud of his position and his knowledge. Special: Once per night, this player can determine if a member of the Imperial Court is a Yang loyalist. Each turn consists of a Night Phase and a Day Phase, with the exception of the first turn. On the first turn, there will only be a Day Phase. No lynch vote will take place; instead, the Charismatic Adviser (tie-breaking role) will be chosen by popular vote. Only during this vote are players allowed to vote for themselves. During the Night Phase, all players with special abilities are contacted. The Yang Loyalists, Vermilion General, and Minister of the Royal Archives must use their special ability. The Minister of the Treasury can choose when to use his or her ability. During the Day Phase, results of the night phase are released. Everyone who survived will confer and choose one person to lynch. If there is a tie, the final decision will be made by the Charismatic Adviser. Everyone must vote. All votes only count for 1 vote (except in a tie, at which time the Charismatic Adviser's vote counts for 2 votes), and nobody can vote for themselves in the lynch vote. If the Charismatic Adviser is killed in either phase, a new Charismatic Adviser will be chosen during the next day phase by popular vote, before the lynch vote takes place. When someone dies, only his/her alignment (innocent/guilty) is released. Targets of unsuccessful night phase eliminations will not be told that they were targeted. Only the Yang Loyalists know each others' identity. Deception, lying, and misleading is completely allowed in this game. Just remember that it isn't personal. If you send a PM to anybody else in the game, you must CC me in the PM. No information gathered outside of the IC thread (i.e., in PMs) may be quoted directly. However, you can repeat any information that you get in your own words as much as you like. You may lie about the information. You can change your vote freely until the last vote is tallied. Once you die in game, you become a ghost, and may not share game information through PMs. You are welcome to hang out and haunt the OOC, so long as you don't reveal any information that is not accepted as public knowledge. What with General Lu closing in on the capital, it was easy to convince the corrupt, foolhardy Chancellor Yang to review some of the correspondence from his contacts on the road, looking for conspiracies and secret plans where none existed. Once he was closeted in his study, it was easy to hint to several servants that the chancellor was working hard again, and had requested tea to be taken to his room... easy to dissolve a bit of tasteless powder in the water. Carefully dosed, it was a wondrous medicine for the heart and stomach; taken improperly or without need, it caused painful stomach cramps and forced the body into sweats. Once that was done, the faithful courtiers of Emperor Xuanzong and the Zhang dynasty waited for news to arrive that Chancellor Yang was sick. The ghosts of General Lu's friends had come ahead of the army to haunt the murderer, courtiers and concubines murmured in hushed voices. Bad energy in the body, stoppered in a way that blocked healthy energy from reaching his heart. But he would be fine in seven days, and in the meanwhile, Consort Yang was at his beside, while the emperor alternately buried himself in reports brought in from outside the Forbidden Palace and visited Consort Yang in his rooms. That was all according to plan, of course. With the chancellor and his sister out of the way, the members of the imperial court gathered to discuss the current state of affairs, wondering how best to stop the rebellion before it ripped the country apart again. The emperor, infatuated with Concubine Yang, was ineffectual when it came to punishing her brother for his crimes. With Yang Loyalists in the court, though, any action was currently impossible. "Never mind that," another high-ranking minister finally said. "With the chancellor gone, we need to choose a spokesperson who can represent our will when the Emperor summons is." Usually, the chancellor tolerated no rivals, even among the advisers of the imperial court... this was an opportune moment! Let the chaos begin! You are all voting to choose a Charismatic Adviser. "We must expunge ourselves of this Yang corruption, draw it out as of poison from a wound," said Councillor Remiel. "I trust Saffron to speak for us all." 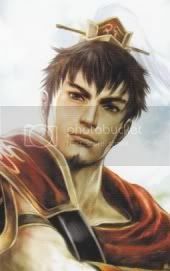 Sun "Aiden" Ce paced in the center of the gardens with a slight hint of annoyance across his features. He was "The Little Conquer", the Warrior King of the Southern Provinces yet he had come under orders of General Lu to support him in his removal of Chancellor Yang. The Chancellor was a weasel of a man, his status gifted to him simply because his sister was the favorite of the emperor! When the meetings came to order he moved to meet the others and hope that together they could find the Yang Loyalist. "We finally agree on one thing Lord Remiel, but I support Lady Niferbelle as adviser, she seems like a trust worthy supporter to our Emperor...as misguided as he may be...." He declared before taking a seat among the rest of them, the annoyance slowly fading away from his features. Zhuge "Ryven" Liang sat silent in the lotus position before a small table, his right hand grasping a calligraphy brush delicately. He made graceful brush strokes across a scroll of parchment as some of the others spoke. A cup of hot tea sat just to his side, the surface of the dark hued liquid flawlessly still as he made each motion of the brush. 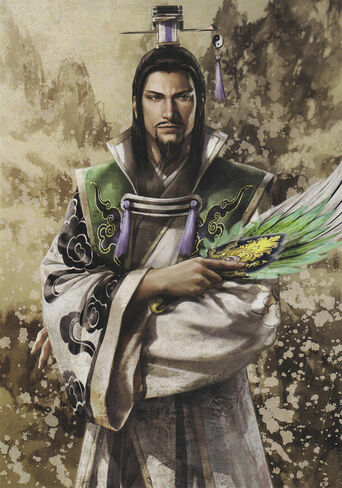 Like a strong wind to clear the sky, Zhuge came unexpectedly. The "Hidden Dragon" had planned to pay the emperor a visit, and as it turned out, it was a most opportune time to do so with the court in disarray. He gently set his brush down to replace it with his white crane feather fan. The man gave a slight nod, letting his eyes hide behind his lids for a brief moment before a hint of a smile crept to his lips. "I would presume no other than Niferbelle to be the voice of reason. She will act strong like a tiger, but bend like bamboo in the wind. Such are the qualities of an effective leader," he said before giving her a nod. Er "Leo" Long-rui glanced at the rest of ministers. This could become a dangerous affair if chancellor Yang got wind of their actions. "It must be done." He muttered for himself to reassure his decision and looked through the window at the garden beyond. "I believe Beguile's Mistress should be the one to speak for all. She is a gift to the sight, like the lotus on bloom, while still being intelligent and centered." Saffron had sat quietly and watched as the others began voting. Eventually she came to a conclusion. "Remiel seems trustworthy to me." The Lady Beguile composed her features after taking the time to study her compatriots. She rose to her feet and took a dainty step forward to acknowledge the honor done to her. "I am humbled by the trust placed in me and my ability to be your spokesperson by Councilor Leo. I will hope that if it becomes necessary I will honor his wisdom but I must add my voice to the selection and suggest that Josietta would be a wiser choice. After a brief study of those gathered, Moirae said, "Valerian would be a good fit for the position." Josietta was settled off to the side pouring a cup of tea as she glanced toward the others at the mention of her name. A smile was given and a nod to Beguile's Mistress for her consideration in placing the young woman in such a titled position. She finished pouring the tea and settled it carefully back into place before offering a cup to the others. "I would leave my own vote with Niferbelle"
She gave a polite nod and went back to the pleasantries of her tea service. After giving a brief bow of thanks to Moirae, Valerian also paused to study the group gathered together. "I am sure that there are many here who would be able to fill this position most capably," she began, "and I find myself hard-pressed to decide. Perhaps Saffron would be a good choice for the role." She gratefully accepted a cup of fresh tea from Josietta and settled back to sip it quietly. Niferbelle's cheeks colored pink at Aiden's kind recommendation and she inclined her head to him respectfully, honored by her choice. The gesture was repeated for those who also expressed their confidence in her. After some of the others had the chance to chime in with their choices, she at last added her thoughts on the matter. "I will, as always, faithfully serve the Emperor as I might best and am humbled to be considered, " she began, her voice soft and thoughtful. "But I would like to return the faith that has been shown me and in return suggest that Josietta is best suited to fill this role." Unfortunately for the advisers of the imperial court, there did not seem to emerge any single leader who could take a majority of the votes. Most of the Court possessed impressive credentials, and a long track record of serving the emperor; there were few, though, who stood out any more than the others. Still, as the discussion went on, it appeared that enough people had a high regard for Niferbelle that she was finally voted to be the informal leader for the advisers. As the decision had taken much of the afternoon and evening, the Court decided to retire for the night, and take up the discussion of what to do about the kingdom's current situation tomorrow. However, in the dark of the night, several individuals made their move with only the light of the moon guiding them. Some hoped to bring Consort and Chancellor Yang... and others hoped to bring them down. After serving Valerian she gave the female a polite but small bow before moving on to the next who wished tea. While listening to the decisions and debates on a choice of charismatic advisor she smiled at hearing the final results. She would have clapped had it been appropriate however it was not. Instead she bowed to the newly appointed Nifferbelle and continued on with her service. Once the meeting concluded and night started to fall, she cleaned up the tea cups and such after making sure everyone had their fill. She finally bowed to each and made her way out of the chamber to clean the tea set and prepare for the nights rest. Leo nodded when the decision was made and also bowed at Nifferbelle. He took the last of his tea with a sip and also stood up. "I bid a good night to all of you, hope you sleep well." Lady Beguile was pleased with the final outcome of the voting and silently gave her approval to the selection before leaving the court to follow a path through the gardens to a tiny pavilion where she found a cushion on which to rest and meditate. Her only company was the golden koi and gentle ducks that shared a nearby pond. She was sure that events would soon unfold that could spell disaster for some of them and as she meditated she prayed to her gods for the courage, strength and wisdom that would be needed in the days to come. And so the courtiers all slowly made their way back to their quarters. Some lingered longer than others in the large hall; others broke off to explore the gardens scattered throughout the Forbidden Palace, full of lush greenery, still ponds, and flowers full in bloom. Most of them felt safe walking with only one or two bodyguards, as was custom for highly-placed ministers and imperial advisers; after all, the Imperial Guard was well-trained by the most martial and strictest of the Four Generals. Unfortunately, even well-trained bodyguards cannot fight that which they do not hear, and that which they do not see. First one, then the second was struck down in complete silence; deep cuts in their necks were testament to how they died, breath cut from their throats with assassins' wire. Remiel had only enough time to stand before he was struck down. In the morning, a routine patrol found the three dead bodies laying as they had fallen in the pavilion. A search was carried out in Minister Remiel's rooms, but yielded nothing that marked him as a Yang Loyalist. Voting will now be held for the first victim of a Day Phase lynch vote. 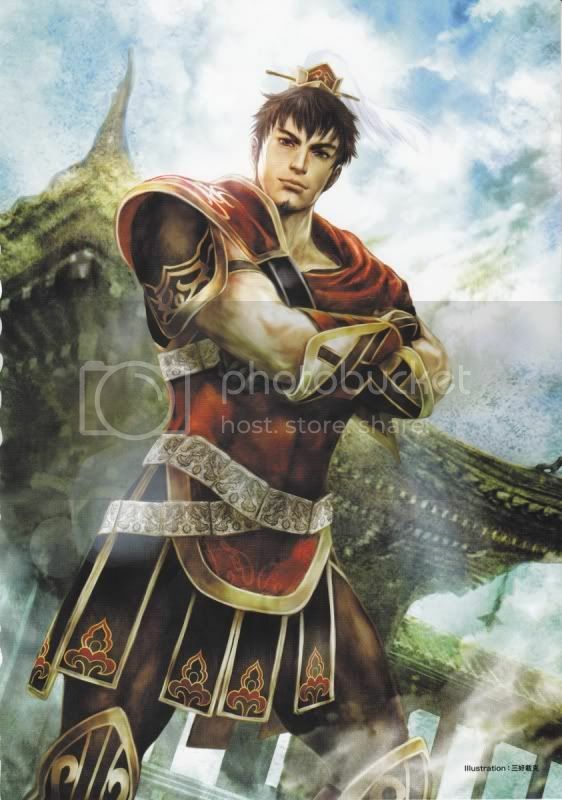 Sun "Aiden" Ce looked uncomfortable in the robes he was wearing, mostly forced to wear. His armor and weapons had been left in his room, the general from the southlands felt uncomfortable despite the silk that made up his attire. None of his complaints were voiced, there was more important matters at hand besides his itchy collar. After learning of the death of Remiel, he attempted to gather all the information he could before it was time for the court to assemble once more. "I believe Leo had something to do with the murder of Remiel." He declared after settling down. When the call came out from the patrol's findings, Josietta found her way out of her morning meditation and exercise to meet the others in the great hall. It was Aiden who she saw first and heard his claims on who must be to blame. She tilted her head some and wondered where such a blind accusation could come from but she would not speak against the General. She bowed respectfully to the handsome warrior but spoke softly of her own suspicions. "General... maybe we should look to Saffron, she had gained his trust and friendship, maybe it was a ruse to allow her to get close enough to slay one of our Imperial Court. Perhaps she is a Yang Loyalist. But then you could be one as well or you could think the same of myself. I can only suggest a direction in hopes of being proved wrong. I am but a faithful follower of the Court and here to serve. May I get you some tea then?" He looked to the east as the sun began to rise giving bringing light and enlightenment to a new day. Standing in the garden allowed him to think clearly. His body stood tall hidden in emerald green robes. It was still early, and he had not yet eaten his first meal. Such things could wait when sorrow and despair were quickly approaching. The Hidden Dragon swept his fan gently back and forth before holding it still before him. It seemed as such an idle gesture, but he was testing the wind. A warm wind was coming from the south. The leaves rustled to join into the gentle bubbling of a nearby brook. Zhuge "Ryven" Liang slowly turned and walked back into the compound, folding both hands behind him with the fan held upward in one's grasp. He gave the others a respectful nod. "It pains me to accuse one who I call a friend. My hope is that the heavenly bodies above reveal their secrets to me this night, and Moirae proves not to be a serpent in disguise." Valerian bowed her head gravely on hearing the terrible news, and stood quietly for a moment, trying to come to grips with the situation and sort out her thoughts. They could not afford very much in the way of mourning for their fallen comrade, but she, at least, would not forget him or his loyalty. At length, she joined the others, listening carefully to their words. For now they could only guess, an uncomfortable position, but action had to be taken. "Any accusation is painful, yes, and I can only hope that we are not compounding this tragedy. Perhaps FoamWeber has some knowledge of this dreadful murder." "I find this responsibility very grave indeed," Lady Niferbelle said softly, meeting the eyes of all of her compatriots. She sighed, hating to have to take action of this sort but knowing it was necessary. "I know that each of us have sound reasons for our suspicions but cannot be certain. I find myself agreeing with Lady Valerian. FoamWeber has been most quiet in all of these matters and I find the silence and lack of response disturbing." Lady Saffron was still quite upset from the death of her friend, obvious from the tissue still attached to her cheeks to wipe the tears. He had been the only one she could trust and now they were accusing her? She shook her head, disgusted at the thought. "Whomever did this, it certainly was not me, Josietta. I could never do such a thing to a friend. Perhaps you could?" Having given her vote, she turned to find a quiet place to sit and contemplate where she could sit with her thoughts without having to listen to the others bicker over who must have done it. Did it matter who had done it? All that mattered to her right now was that a friend was gone.